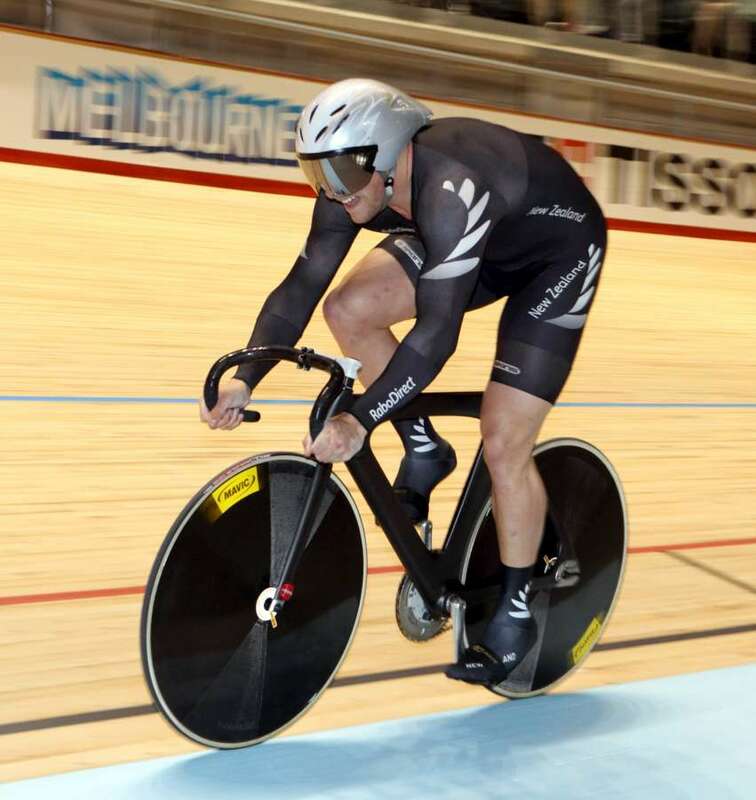 The 10-strong Southland contingent of the NZ 2013 Oceania Track Champs team are primed and ready to race and it will be exciting times for the many under-23 development squad representatives as they ride out in nationals ranks. New Zealand’s leading track cyclists, including Southland's Eddie Dawkins, Matt Archibald, Sequoia Cooper, Natasha Hansen, Pieter Bulling, Cam Karwowski, Michael Culling, Laura Heywood, Josh Haggerty and Jeremy Presbury, get their first taste of international competition for the new season when the Oceania Championships begin in Adelaide tomorrow. BikeNZ has selected a 33-strong squad to contest the four-day meet at the Adelaide Super-Dome in both elite and under-19 categories for the championships which will provide an early litmus test on progress. Nearly 50 New Zealand riders will compete with a number travelling to take part under their provincial colours. The championships, which carries qualifying points for world cup and world championships, represent the start of campaign looking ahead to the 2014 Commonwealth Games and the 2016 Olympic Games. The team includes some of the young riders from the under-23 development programme, the Olympic sprint team and some of the riders who enjoyed success at the world junior championships. BikeNZ sprint coach Justin Grace said it is an opportunity for riders to signal their intent for the 2013 year as well as check on development of their Olympians following a significant break post London. Winners of individual titles will earn an assured start at the world championships, should they be selected. “That would be another feather in their caps when we are looking at selection in that they have a guaranteed start,” Grace said. “Our plans are for a lean team for the world championships so the Oceania Championships represents the start of a very competitive summer for riders. Grace said he has not issued strong expectations on the squad in terms of performance this week. Grace said while the sprint squad includes the senior Olympians, the endurance team comprises riders from the under-23 development programme and some exciting newcomers including Dylan Kennett who performed creditably in his World Cup debut in Glasgow two weeks ago. The championships begin tomorrow with team sprints, team pursuits, time trials and scratch races for all divisions. Elite: Men’s Endurance: Pieter Bulling (Invercargill), Scott Creighton (Hamilton), Dylan Kennett (Waimate), Hayden McCormick (Te Awamutu), Cameron Karwowski (Invercargill). Women’s Endurance: Gemma Dudley (Levin), Sequoia Cooper (Invercargill), Georgia Williams (Auckland), Racquel Sheath (North Harbour)), Alysha Keith (Dunedin). Men’s Sprint: Eddie Dawkins (Invercargill), Sam Webster (Auckland), Ethan Mitchell (Auckland), Matt Archibald (Invercargill). Women’s Sprint: Natasha Hansen (Invercargill), Katie Schofield (Dunedin). Staff: Craig Palmer (Male endurance coach), Stu Macdonald (female endurance coach), Justin Grace (sprint coach), Dale Hollows (mechanic), Chris O’Connor (mechanic), Mark Mathews (physiotherapist), Justin Evans (sports science), Daniel Healey (Manager). Under 19: Men’s Endurance: Luke Wieblitz (Christchurch), Josh Haggerty (Invercargill), Connor Stead (Christchurch), Michael Culling (Invercargill), Regan Gough (Waipukurau), Cameron Ford (Nelson), Alex Hooper (Ashburton). Women’s Endurance: Lauren Hobson (North Harbour), Alice Hay (Christchurch), Holly Edmondston (Waimate), Laura Heywood (Invercargill), Kate Stewart (Palmerston North). Men’s Sprint: Jeremy Presbury (Invercargill), Zac Williams (Auckland), Chad Elliston (Auckland), Callum Saunders (Blenheim), Quinn Karwowski (Blenheim), Daniel Rafferty (Ashburton) – for team sprint only. Staff: Ross Machejefski (male endurance coach), Mark Lucas (female endurance coach), John Rastrick (sprint coach), Ben Rowell (mechanic), Jessica Massey (manager). Caption: Eddie Dawkins back into action at the Oceania Championships this week.